I was so surprised coz I didn't expect to receive my results so soon!! At first, I thought only the pass fail list would be out...but when I checked it out just now... 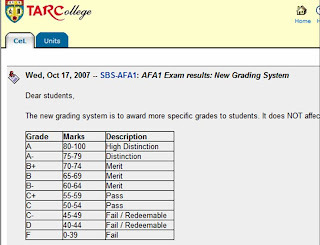 Truth...I was a bit shocked coz the actual grades are also out already! !